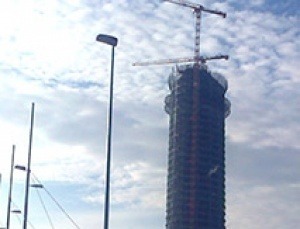 The biggest construction project currently in Spain is the Pelli Tower. It is the highest skyscraper in Andalucía and the seventh in Spain, just after Madrid and Benidorm and ahead of cities such as Barcelona. The tower will have a total length of 178 meters, on a 59.000 m² plot surface. Mercor Tecresa, international leader in Passive Protection, has been the successful tenderer for its passive fire protection and thermal isolation.